What a great idea! These posters will soon be appearing on bus shelters in the City of Unley. Getting food scraps out of the blue bin and into the green bin has the potential to save money that you pay in rates. 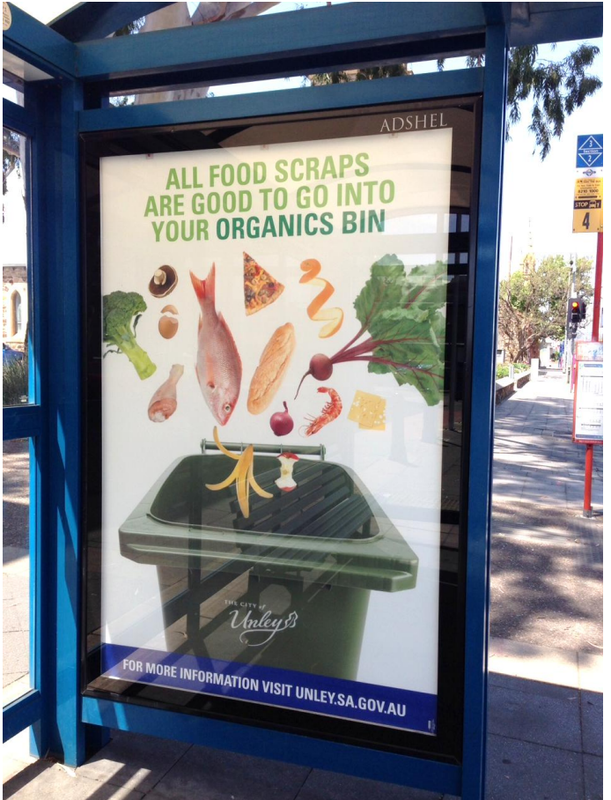 Unley is charged per tonne to dump your garbage, put it in the green bin and the cost to you is reduced.